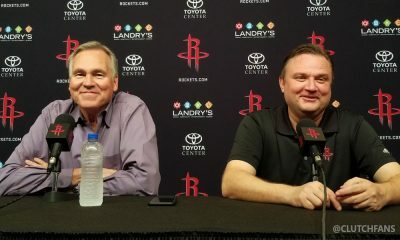 There is no obvious choice for the Rockets on whether to exercise or decline the team option on Chandler Parsons, but David Weiner takes a look at the salary impact of both routes. Due to additional information obtained and confirmed, as well as a more careful reading of the 2011 NBA Collective Bargaining Agreement, this piece has been updated to more accurately describe the cap hit for Chandler Parsons if the team option on his contract is declined. 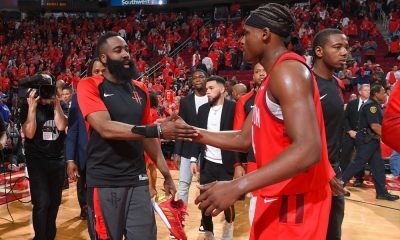 This article is intended solely as an analysis of the salary cap effects of certain decisions that the Rockets make with respect to Parsons’s contract and is not intended to express an opinion on such decisions. On January 1, 2014, by not having been waived before such date, a portion of Parsons’s 2014-15 salary ($624,771, to be exact) became guaranteed. If Parsons is not waived by June 30, his entire 2014-15 salary ($964,750) becomes guaranteed. However, these “guarantees” are illusory. Parsons’s contract includes a team option for the 2014-15 season. 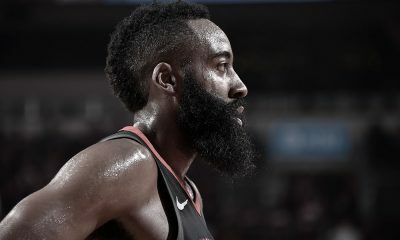 Because it is a team option, the Rockets essentially get to decide whether that season of his contract exists or not. By declining the option, Houston has the power to nullify those guarantees, which would only exist if the option were exercised. 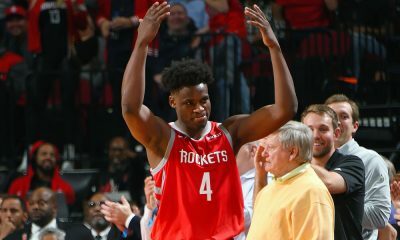 With that little nugget of information now known, let’s take a closer look at the salary cap implications of the Rockets either exercising or declining that team option. If the Rockets elect to exercise their team option on Parsons’s contract, then Parsons will earn — and will count against the salary cap in the amount of — only $964,750. That is only slightly greater than the minimum salary for a three-year veteran. Because of Parsons’s miniscule 2014-15 salary, his cap hold on the Rockets’ books when he hits free agency in 2015 until he is signed (either by the Rockets or another team) will be a paltry $1,833,025. This figure is equal to 190% of Parsons’s 2014-15 salary, which is the method used to determine cap holds for players (other than those coming off rookie scale contracts, which Parsons is not) making below the average player salary and for whom a team holds full Bird rights. By having such a small cap hold for Parsons, the Rockets would be able to use all of their available cap room in 2015 — except for that $1,833,025 cap hold amount — to pursue outside free agents (in a free agent class that is expected to include Kevin Love and LaMarcus Aldridge), then later exceed the salary cap to re-sign Parsons to any amount using his Bird rights. 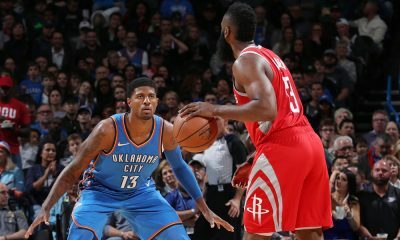 If the Rockets elect not to exercise their team option on Parsons’s contract, and if the Rockets extend a qualifying offer to Parsons (more on that below), then Parsons would become a restricted free agent. Because Parsons would have been under the same contract with the Rockets for three seasons (2011-2014), the Rockets would have full Bird rights on Parsons and could exceed the salary cap to re-sign him to a five-year deal at any amount up to the maximum salary (expected to be a starting salary in the $14 million range for players with 0-6 years of service). If Parsons becomes a restricted free agent, then his cap hold next summer will be the greatest of (a) his “ordinary” cap hold of 190% of his 2013-14 salary (or $1,760,350), (b) the first year salary in any offer sheet he signs that the Rockets wish to match, or (c) his qualifying offer. A qualifying offer is the minimum amount that a team must offer to a player (as a one-year deal) by June 30 each year in order to make him a restricted free agent. Without a qualifying offer, the player automatically becomes an unrestricted free agent. Under the prior CBA, this would have been a similarly low amount to his “ordinary” cap hold. However, the new CBA changed the rules regarding qualifying offers to young players who significantly outplay their draft status. Under the new CBA, if a young player taken outside the first half of the lottery meets certain “starter criteria” in either the year prior to his free agency or averaged over the two years prior to his free agency, then he is entitled to a higher qualifying offer. In the case of second round picks meeting the starter criteria, they are entitled to a qualifying offer equal to 100% of the rookie scale qualifying offer for the 21st selection of the draft class whose rookie scale contracts are up for qualifying offers this summer. As applied to Parsons this summer, he is entitled to whatever qualifying offer the 21st pick in the 2010 NBA Draft would have gotten if signed to 100% of the rookie scale. 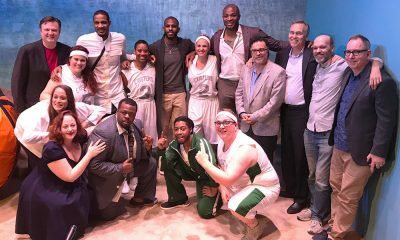 (FYI, the 21st pick in 2010 was Craig Brackins, but that is irrelevant here.) That amount is $2,875,130. On the other hand, if Parsons is not extended a qualifying offer and is allowed to become an unrestricted free agent in 2014, he would count against the Rockets’ cap in the amount of his “ordinary” cap hold ($1,760,350). However, since the chief purpose of declining Parsons’s option is to make him a restricted free agent, it is unlikely this would happen. So, for all intents and purposes, the cap hit for Parsons if his option is declined will be $2,875,130 . . . until he signs an offer sheet or a new contract. 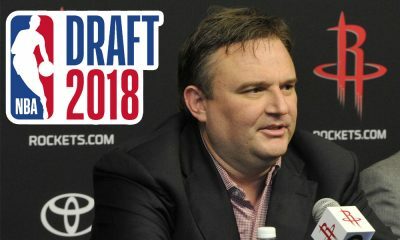 While the Rockets do not expect to have much (if any) salary cap room in the summer of 2014 assuming that no further roster moves are made, it is entirely possible that subsequent roster moves (such as those involving Asik and/or Lin being traded for less salary or expiring contracts) could create a situation in which 2014 cap room becomes a legitimate priority for the Rockets. In such an event, the amount that Parsons counts against the cap could become a material concern. 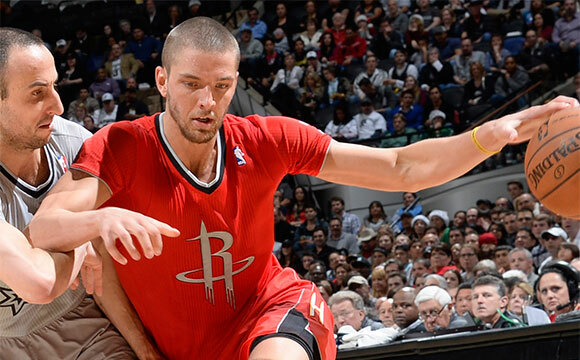 The Houston Rockets face a major decision on whether to exercise their team option on Parsons. Of course, there are various other factors in play here besides just the salary cap mechanics associated with each decision. 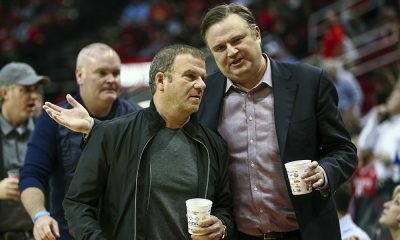 Such factors include the team’s need for salary cap room in light of subsequent roster moves (such as an Asik trade), the availability of outside free agents, any additional leverage held by NBA super-agent Dan Fegan (hired by Parsons this past summer), and, perhaps most importantly, the “human element” of dealing with Chandler Parsons on a personal level. When all factors are included, there is no easy choice for the Rockets. But it is a choice that will be closely followed by Rockets fans.